This Collection of Crystal Ornaments, Figurines are handmade and skillfully produced. These stunning pieces are suitable for all occasions including: Birthday Gifts, Valentines Day, Christmas Gifts, Mother and Fathers Day, Weddings, Engagement, 21st, Christenings and General Keepsakes. All have been imported from Belgium, come gift boxed and are a fabulous addition to any collection. 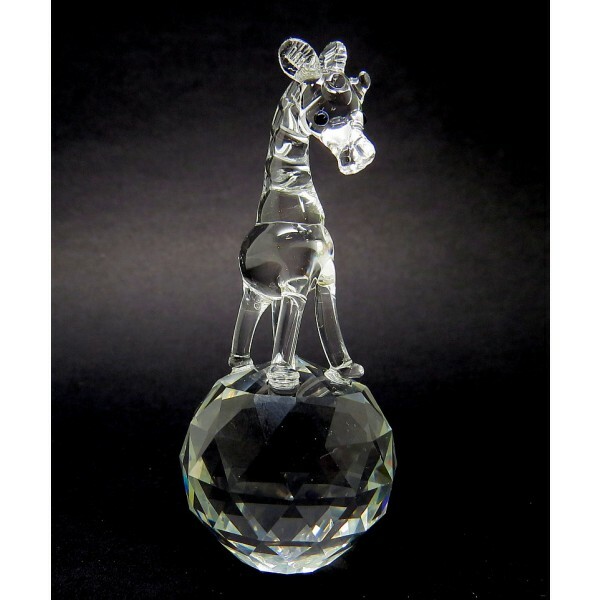 This sweet baby giraffe standing on a faceted crystal ball is the perfect gift idea for all animal lovers.